We have released our highly anticipated Payment Request feature and are rolling it out to stores slowly. 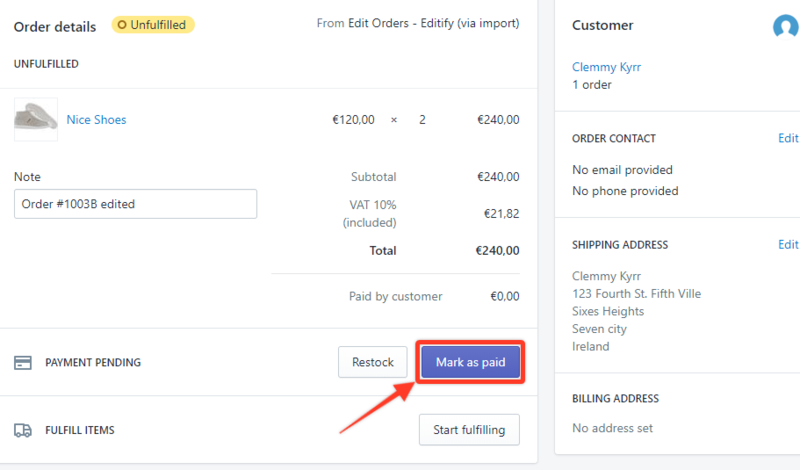 Each time you edit an order, the amount of purchase in the order forms may also change depending on what has been edited in the original order. Most times, customers request to modify their orders when they want to buy additional items, modify the quantity of the product they ordered, or request for more discounts because of their bulk purchases. 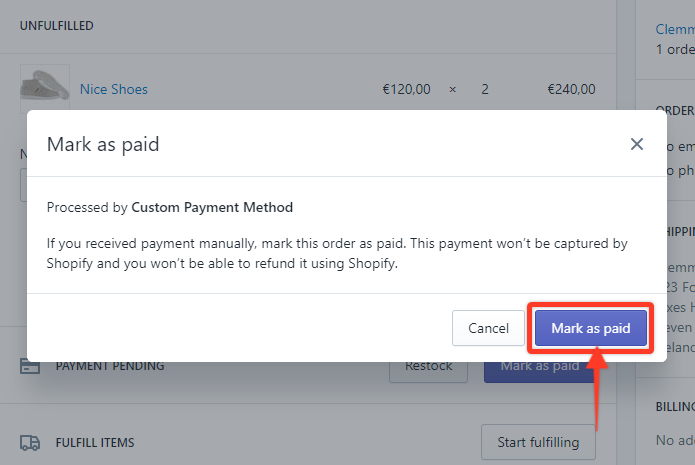 When this happens, the customer has to pay the additional amount manually resulting from the modification of his order through your own payment gateway outside of Shopify. After payment has been made, the order has to be tagged as Paid in Shopify so that fulfillment of the order can be done. Step1. As soon as the necessary edits in the order are completed, and payment has been done, click Mark as paid. Step2. In the pop-up window, click Mark as paid. The status of the order will then be changed from PAYMENT PENDING and will show that payment has been accepted.